The Smith T-shirts are silky smooth and have an excellent fit, making them feel like a second skin. 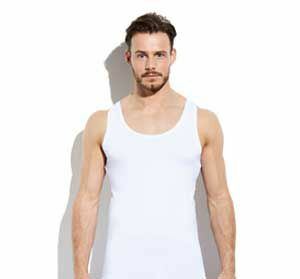 Ideal as a T-shirt for under your shirt, with the possibility of having your top button undone. The round neck of the T-shirt would then be visible. Thanks to the breathable effect of the T-shirt you stay fresh all day long. The collar is limp, wide and curls around straight from the packaging. This does not match the price of the T-shirts. Very ugly underneath a shirt. Would like the neck a little higher. Older men don't really have a supertight neck anymore. This is the general complaint of our acquaintances. Quality is excellent. Fabric is incredibly soft and stays well in the wash. Length and fit are fine. The neckline is the only improvement point: curls around, is a bit limp and sags quickly. Great shirts! No more wet spots under the arms, including the shirts that go over the T-shirt. 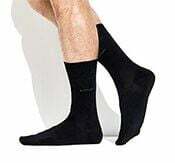 Wonderful comfort, length is good. For me personally as man of 47 years old who has everything, I can say that these are the things that make me very happy again! T-shirts that are worth the money! Perfectly finished, collar not too high and feels comfortable. Is very pleasant and sizing is fine. Downside is that the trim of the collar \curls around\" after washing, which does not look nice. " 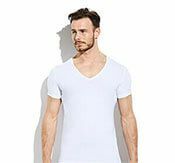 Very comfortable T-shirts without a neckline that is too high. Great! The fabric is really fantastic but the round neckline is a bit too low for me. Would like to see these a bit higher and thus more fitting.